Despite being a Fifth Wednesday, this was actually a pretty big week in comics! The first full issue of Brian Michael Bendis’ Superman came out, and I enjoyed it! Granted, I’ve liked Superman comics in the past and dropped them, so who knows if I’ll stick with it — but I’m going to try! Comic Book of the Week goes to another landmark issue: Amazing Spider-Man #800! It’s the grand finale of Dan Slott’s decade on Amazing Spider-Man, and the issue lives up to the pomp and circumstance…though it’s not without its flaws. In potentially disappointing news, I’ve decided to give up on Doomsday Clock. I just don’t like the comic, and the new issue this week reinforced everything I don’t like. And I don’t want to use this comic review segment to trash on comics just because I don’t like them. I find Doomsday Clock to be boring, with an undeserved pretentiousness. I might keep reading, just to see where it goes. But starting now, no more active reviews. Comic Reviews: Amazing Spider-Man #800, Justice League: No Justice #4, Man of Steel #1 and Ms. Marvel #30. I’m not too worked up over this. Maybe once upon a time, I would have mustered some righteous comic fan anger about one of my all-time favorite comic book characters getting killed…but eh. Death is meaningless in comics these days, for one thing. And for another, Phil Urich has been dragged through the mud for awhile now. It was foolish to hold on to hope that he could be redeemed. I mostly just want to mark this occasion. For those who don’t know, Phil Urich was introduced to Spider-Man comics in the 1990s as a heroic Green Goblin. He was a teenage kid in the classic Peter Parker vein, and had a 13-issue series about his attempts to use stolen goblin gear to be some kind of free-wheeling 90s superhero. I loved the comic. It was the first comic book this burgeoning young comic book fan bought continuously, rushing to supermarket comic book stands in search of the newest issue. Phil Urich was my Peter Parker. The series didn’t last and Phil went into comic book limbo, popping up now and again, like all good limbo characters do. At one point he was turned into a bad guy. Then Amazing Spider-Man writer Dan Slott turned him into a badass new Hobgoblin, of which I own the action figure. 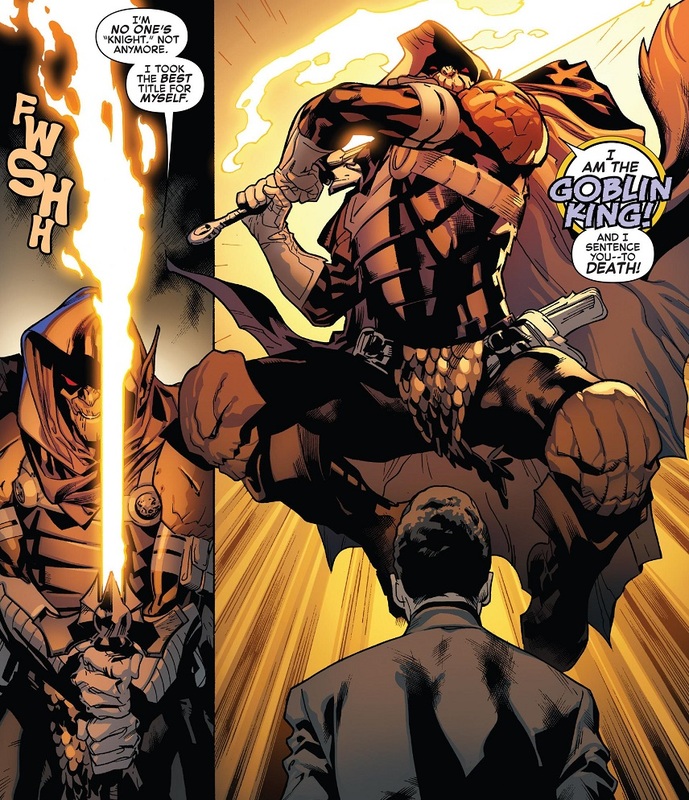 Sadly, the badass Hobgoblin phase didn’t last and Phil was reduced to the knock-off Goblin Knight role. When that storyline ended, he became an even more pathetic Goblin King and basically just became a total loser villain to the upteenth degree. It was not a good time. And in the new issue of Amazing Spider-Man, Dan Slott finally drives the final nail into the coffin and has Phil jobbered to the newly re-villainous Norman Osborn. …At least until Marvel Comics hires me to write something and I establish that Phil escaped Norman and rushed to the hospital! Or, since he’s a goblin, then he survives by whatever means kept Norman alive or Harry back from the dead or even that time Roderick Kingsley came back. And considering Dan Slott once killed another favorite character of mine, the Prowler, only to bring him back shortly thereafter, maybe there’s some kind of hope. 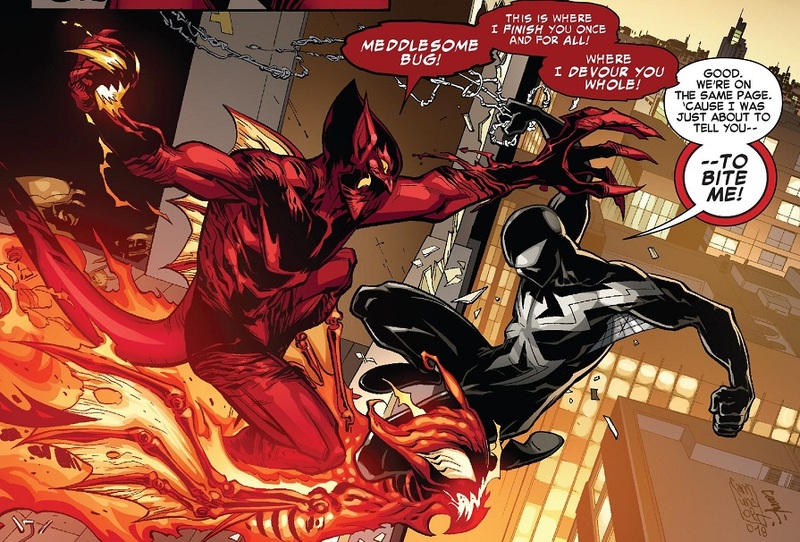 What’s with Dan Slott killing all my favorite Spider-Man supporting characters? I’ve always been a huge supporter of his! Anyway, just wanted to mark the occasion. Felt like somebody should. Good news, everybody! My time is my own again and the bonus Wednesday is out of the way, so I’m back to buying and reading an entire pile of comics! But bad news, too! Because as has been the case with me and comics, all of my favorite comics come out in one week, and there’s no way I can get to them all. X-Man and he’s finally got a solid solo comic! Speaking of comics I read but didn’t review, the new issue of Harley Quinn is pretty nifty! We learn the secret origin of Red Tool, even though I didn’t know he had a secret origin! I’m gonna do a write up on it next week in case you want the fully skinny. 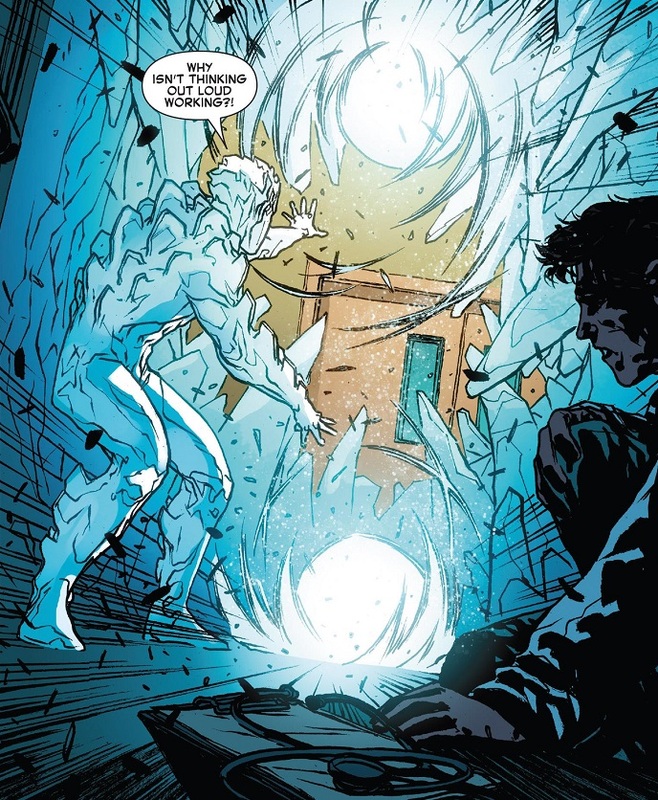 Comic Reviews: Amazing Spider-Man #28, Batman #24, Hawkeye #7, Iceman #1 and Nova #7. I come to you today in sorrow and rage, dear readers. Once I was a man who believed in fairness and joy, who believed that the universe was here to help us all in our times of need. I had always treated the universe well. I respected its awesome power – but it has betrayed me. It has played a cruel trick on my heart, casting aside my love and respect, and replacing it with an icy blackness that tears at my very soul. The universe has hurt me. It has hurt me deep. You may recall my overwhelming joy last Summer when I learned that one of my all-time favorite comic book characters, Phil Urich, was going to get an action figure. Phil Urich was my Peter Parker. He was the affable young superhero whose Green Goblin series brought me into comics in the 90s. And for the first and probably last time ever, Phil was going to get an action figure in his Hobgoblin persona. He’s such an obscure, minor character that never in my wildest dreams did I think he’d ever get any sort of action figure. Do you remember, dear readers? Do you remember that moment when the universe shined its light upon me and gave me a gift as pure as the fallen snow? That moment was lies and deceit, dear readers. That moment is gone now. Only sorrow remains. For you see, I was perusing the Internet the other day when I stumbled upon this post at i09, which linked to this person’s photobucket account. 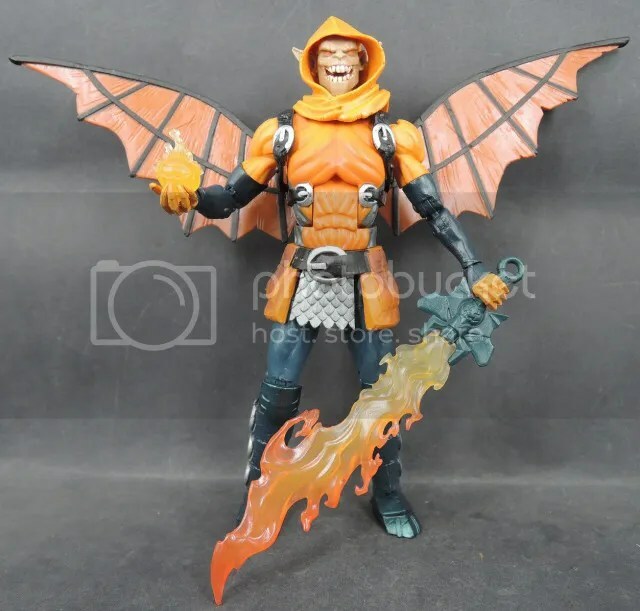 It seems the Hobgoblin action figure is going to be up for sale soon, and some people have already gotten their copy. But here’s the thing…Hobgoblin is a build-a-figure. What’s that, you may ask? What could that possibly mean? It’s simple, really. Instead of simply buying a Hobgoblin action figure off the shelf, like a rational human being, the Hobgoblin figure has been dissected, and the pieces have been scattered into different packages. There are 6 figures in this line of toys, and a piece of Hobgoblin has been placed into each one. This means I have to buy all 6 figures in order to then assemble Hobgoblin. Do you see the travesty in this, dear readers? Do you see it?! 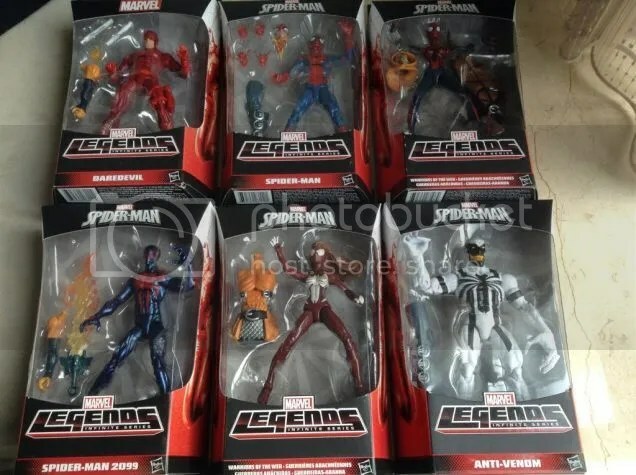 In order to get the one action figure I want, I now have to buy SIX action figures! That’s going to cost $60-$70 instead of the simple $10 of a single action figure! Sixty-freakin’-dollars! What do they think I’m made of, money? Because it sure ain’t money! And on top of that, I’ve got to somehow find all six action figures! Do you realize how hard that might be? Action figures like this are a specialty item these days. You can’t find every figure in every store, sometimes there are store exclusives, or they’re sold out of all the cool ones! What are we to do, my friends? What hope do we have in this life against such a cruel and twisted universe? We all know that Peter Parker never has much luck with the ladies, but on the big screen, his love is smoldering! Who would have guessed that The Amazing Spider-Man 2 was a romantic comedy? The second entry in Sony Pictures’ second Spider-Man series is all about the love shared between an arachnid boy and his high school sweetheart. 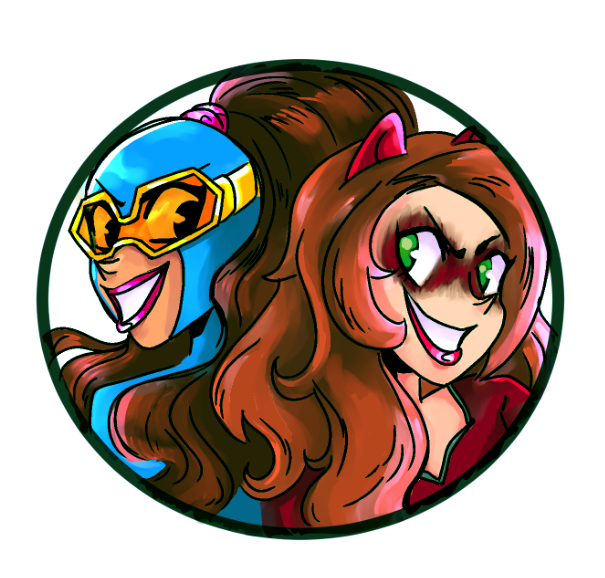 Sure there are a couple of super-villains thrown in for good measure, but that’s just what you have to deal with when you’re dating the Amazing Spider-Man! Movie Rating: 8/10 – Very Good. I don’t mind at all that Sony Pictures wants to make a mega-franchise out of their Amazing Spider-Verse. As far as I’m concerned, director Mark Webb and actor Andrew Garfield absolutely get Spider-Man. They get the humanity. They get the drama. They get the pure thrill of being Spider-Man. They seem awkwardly obsessed with Peter Parker’s dad, but that can be forgiven when the rest of their movies are so good! I loved the first Amazing Spider-Man movie, and praised it for the nuanced, personable portrayal of Peter Parker. 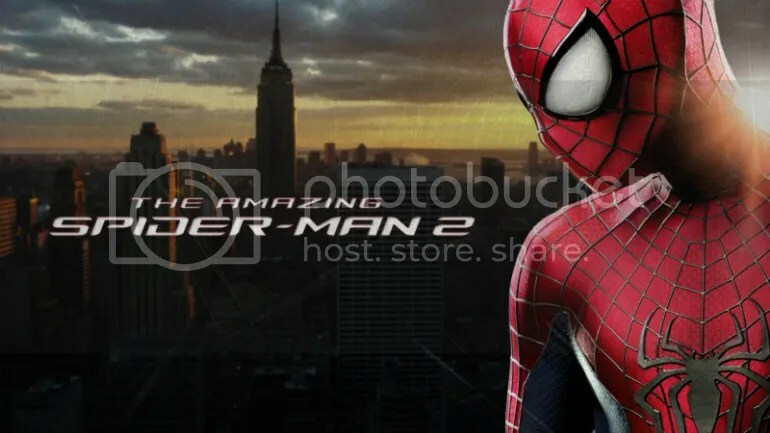 The same focus on Peter returns for the sequel, and once again I have to point out that the young Andrew Garfield is light years beyond Tobey Maguire in not just his skill as an actor, and his range, but just in how he embodies the character. Garfield easily carries the film, injecting Peter and Spidey with the right amount of humor and love for his family and fellow man. He’s joined by a returning Emma Stone as Gwen Stacy, who just lights up the whole film whenever she’s on screen. The chemistry between the two actors is some of the best I have ever seen in film or television, and they really do make this movie into more of a love story than a superhero flick. But it’s also, definitely, a superhero movie. And while those elements aren’t the strongest part of the film, they are still highly enjoyable. Like I said, Garfield is fantastic as Spider-Man, especially in costume. Not only is he legitimately funny, but he has such a great rapport with pretty much everyone he meets. The special effects are also top notch. The web-slinging is wildly fun and the fight scenes are pretty epic, but I would have to say that the movie’s trio of new villains – Electro, Green Goblin and Rhino – don’t live up to expectations. All three are solidly portrayed and fulfill their roles in the film, but they never amount to much themselves beyond giving Spidey something to do in costume. But even if the villains are kind of clunky, and even if this film uses one of my most hated fiction tropes of all time, The Amazing Spider-Man 2 succeeds on the strengths of Spidey and his love story alone. Who would have thunk it? Join me after the jump for the full review! I will try to keep SPOILERS to a minimum!